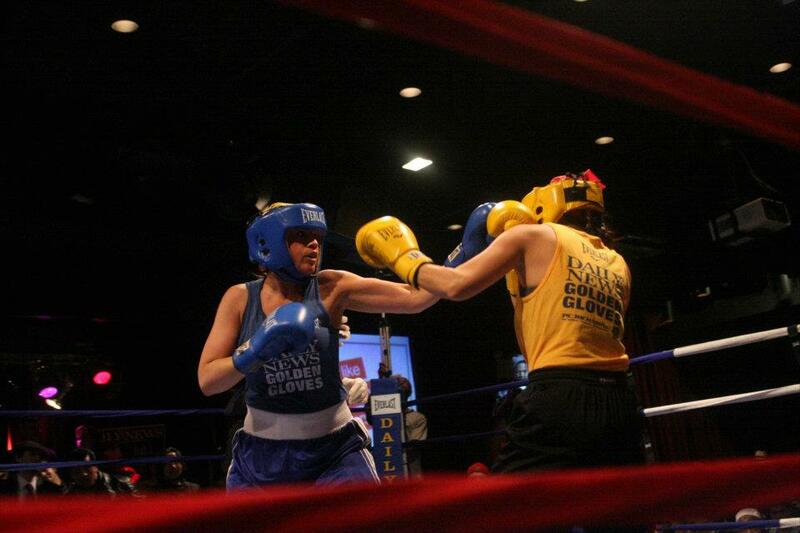 A Boxer in the family, My Daughter. I love my daughter. Her name is Michelle, but I call her Chellfish. She is multi talented. We have a jewelry business together. She studies nutrition and always experiments on us. Sometimes the stuff looks really yucky. She tries. Going raw is great. Thankfully she does not go to extremes. She makes a lot of good things and wants everyone to eat healthy. She’s starting “Eat Well with Chelle” after she finishes Institute for Integrative Nutrition school. Exercise is very important too. One day she decided to take up sparing. 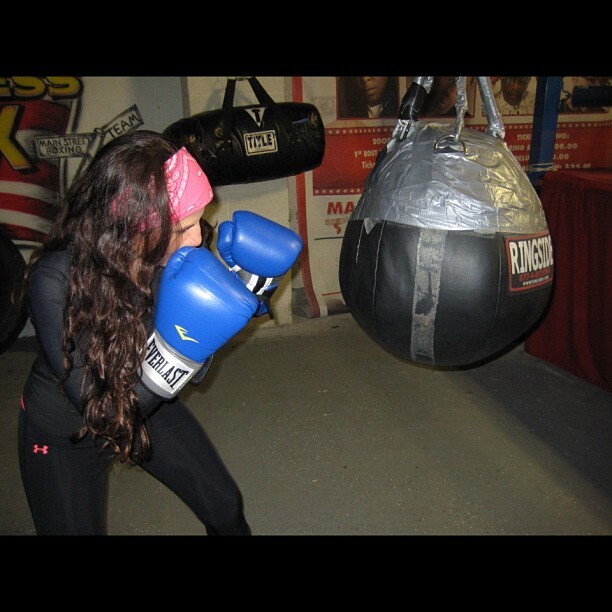 She talked about hiring a trainer for boxing and she did. As her mom I didn’t take this too seriously until I was told she’s fighting. Worries…Is she going to get hurt? Have her nose broken or worse. Mom is invited to the fight in Brooklyn. I have to go. I am torn between being supportive or not. How many people have a boxing daughter? It’s hard at first to watch…I have crooked fingers. I peek through the spaces. I see she keeps doing the same thing. She throws a punch and then hesitates. What is she doing? I am thinking she is going to get herself in trouble with this tactic. I realize she stops to see if she hurt her opponent. This is where her heart comes through. She wins this fight. Eventually her coaches teach her she has to stop checking the other girl out. Now I watch her skills. She just had a fight she should have won. She is a great sport. Mom is now watching with both eyes open. I see all the skills she’s obtained. I am not going to say I really like this…but I support her all the way and I am proud she is my daughter. Her name is “Lollypop” as a fighter….wonder why. She just started teaching power hour boxing in a new gym.